In the daytime of March 26, on 28-31 from time to time precipitation is predicted, in mountainous regions and in foothills precipitation will be in the form of snow, in valleys – in the form of rain. On March 27 no precipitation is predicted. In the daytime of March 27 the air temperature will go up by 5-7 degrees, in the daytime of 28-30 it will go down by 7-10 degrees. 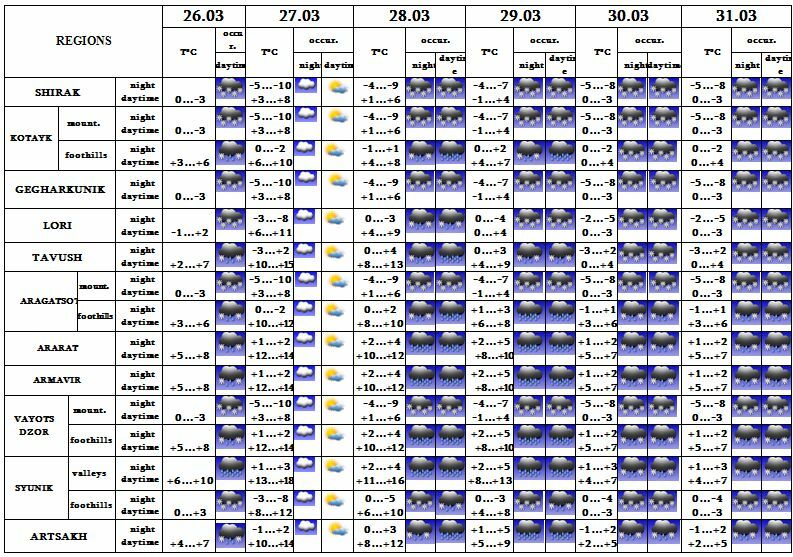 In the daytime of March 26, on 28-31 from time to time precipitation is predicted. On March 27 no precipitation is predicted.